In a detailed joint ‘Advisory Note’ launched today, the British Retail Consortium (BRC), Environmental Justice Foundation (EJF) and WWF-UK inform UK industry, retailers and brands of the risks associated with Illegal, Unreported and Unregulated (IUU) or ‘pirate’ fishing. The guide offers expert advice on risk assessment and risk mitigation, and encourages action to prevent IUU fishery products entering UK supply chains, which is costly on a number of levels. • Using banned fishing methods and fishing without a licence. The effects of these activities lead to damage to the oceans and species, as well as global financial estimated to be between US $10 billion and US $23.5 billion each year, representing 11 to 26 million tonnes of fish. There is often also a strong link between IUU fishing activities and human rights abuses on-board fishing vessels. • EU to centrally coordinate database of fish catches. As the world’s largest market for imported fish and fishery products, the EU has the potential to change behaviour through commercial incentives and international trade. The EU’s enforcement of the IUU Regulation is unique globally, but it is currently being unevenly implemented by Member States and more needs to be done in the UK, too, to ensure its full success. "Closing down markets to ‘pirate’ fish is the fastest way to eliminate the indiscriminate destruction IUU fishing wreaks on coastal communities and the marine environment on which they depend. Limiting the market invariably limits profit opportunities, thus taking away the financial incentive that drives IUU fishing.” “This joint advisory note can empower UK importers, processors and retailers to play an increasingly leading role in bringing this destructive trade to an end." Designing and implementing an effective process to ensure due diligence in preventing pirate fish entering their supply chains provides a valuable opportunity for UK retailers and brands to support the global fight against IUU fishing while also reducing potential reputational and legal risks in seafood supply chains. As well as helping to secure the future viability and health of global fisheries, the recommendations provided by the BRC, EJF and WWF-UK support easier monitoring of working conditions aboard the world’s fishing fleet and help ensure that products created under exploitative conditions are not allowed to enter the EU market. The European Union IUU Regulation, which came into force in January 2010, is designed to prevent IUU fishery products from entering the EU market. 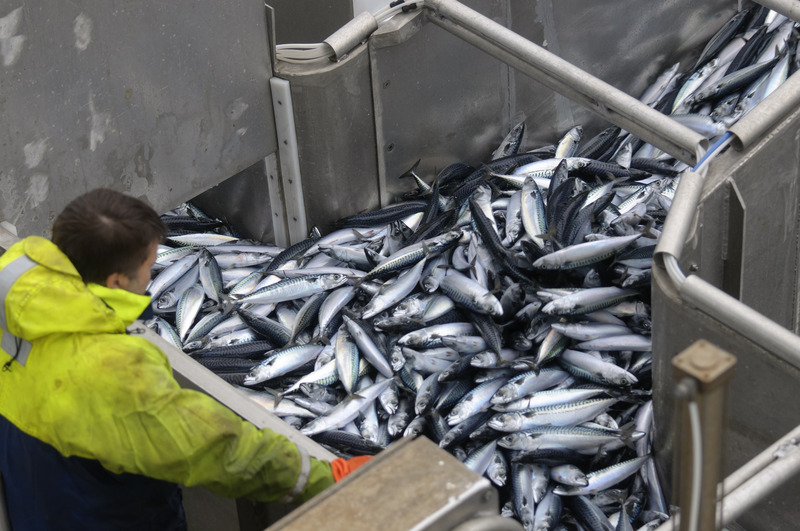 Prior to the Regulation, an estimated €1.1 billion of illegal fish entered the EU each year. The Regulation requires catch certificates for seafood imports and exports and bans the import of fish from states and vessels known to be involved in IUU fishing. As the largest seafood importer in the world by value, the EU has the potential to change behaviour through commercial incentives and international trade. The EU’s enforcement of the IUU Regulation is unique globally, but it is currently being unevenly implemented and more needs to be done in the UK to ensure its success. • The Advisory Note released today highlights some of the key risks associated with IUU fishing and outlines an approach to prevent IUU fishery products from entering UK supply chains. It offers an overview of a due diligence system – sources of information, risk assessment, audits and alternative sources – as well as key aspects to be considered – the fishery itself, fisheries management, supply chain management and supplier due diligence. • It is estimated that almost 30% of global fish stocks are overfished, with fully fished stocks accounting for 60% and under–fished stocks 10%. (FAO 2014, FAO State of World Fisheries and Aquaculture Report (SOFIA) 2014). • New research indicates that 20-25% of the most studied marine species are threatened with extinction – the same as the risk to land animals and plants (University of Sheffield, 2015). • Global losses due to Illegal, Unreported and Unregulated (IUU) fishing are estimated to be between $10 billion and $23.5 billion each year. This is estimated to represent between 11 and 26 million tonnes of fish (MRAG and University of British Columbia 2009, Estimating the Worldwide Extent of Illegal Fishing). • The EU IUU Regulation, which came into force in 2010, aims to keep illegally caught fish out of the EU market by requiring catch certificates for seafood imports and exports. It also bars the import of fish from states and vessels known to be involved in IUU fishing. The Regulation and the EU’s enforcement of it are unique globally. • The EU is the largest seafood importer in the world by value, importing 24% of the global total. (DG MARE 2014, The EU Fish Market 2014 edition). • The value of illegally caught fish imported into the EU was estimated to be in the region of €1.1 billion, prior to the EU IUU Regulation coming into force. (European Commission 2007, European Commission Staff Working Document SEC – 1336).